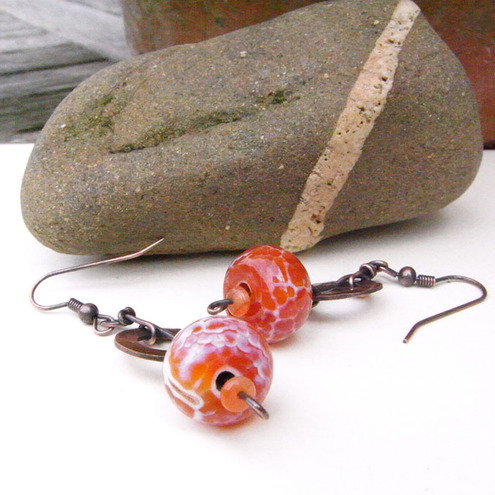 These earrings are made with gorgeous orangey red fire agate beads, with tiny carnelian beads. The beads dangle from a hammered copper link and copper earwires both of which have been given an antique patina. The drop is approx 1 and 1/2 inches.